Refrigerators(Fridge) are needed for daily use now whether be it summer or winters. From keeping intact the freshness of fruits and vegetables to serving chilled water and desserts in the scorching summer. We are writing this article to make it easy for you to buy the Best Refrigerator in India available in India as of 2018, that matches your need. While making this list, we have made sure that it has the best refrigerator of top brands like Samsung, Whirpool, LG, Haier, Godrej etc. 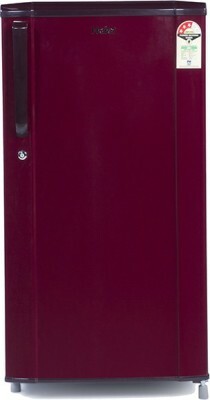 We all face problem in shortlisting the best fridge among so many options, the buying guide for purchasing the best refrigerators for your home or office depends on the Family Size, Area for keeping the fridge, Storage Capacity, Star rating for power efficiency and most importantly the Budget. Also if you living in tier 2 or tier 3 cities prefer to buy the Samsung or LG Brand as these companies have service centres all over the country. In Tier 1 Cities, you can easily find service support for all the Companies. So here is the list of Best Refrigerators in India (Single and Double Door) along with their features and reviews. We bring you the best fridge in the different price range like under 10000, under 15000, under 20000, under 25000 and under 30000 so that all our users can make the best choice as per their budget. While building this list we have also taken into consideration that the looks of the fridge would add beauty to your kitchen. To ease of buying this fridge, we have included the direct Flipkart/Amazon links of that specific refrigerator so that you can read the user reviews and buy without any hassle. Since the Price keeps changing based on offers or schemes, we have indicated the approximate prices of these fridge at the time of writing this article. At the end of the list of these Best refrigerators in India, we also bring you Our favorite of all the refrigerators depending on the Value for Money they offer as per the features, star rating and the price point they are being sold at. Samsung is a well known brand across the world and one of the best brands in India as well. This refrigerator from Samsung has a beautiful metal finish on the front which looks great. Build quality is good and it has in built stabilizer as well so you don't need to spend more money on getting a stabilizer. The 324L capacity at this price is a really good deal. The capacity is good for a family of 3-5 members. The star rating is 3 which means decent savings in electricity bill as well. All these positive make it one of the best refrigerators under 30000. So this was our Top picks for Best Refrigerators in India. We hope you have been able to make the choice based on your needs. If not you can message us here.